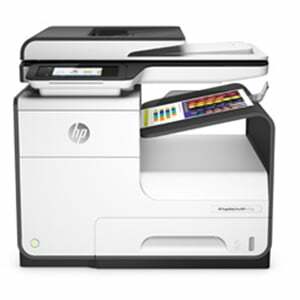 The High speed, top end FS-C8650DN is a real powerhouse of a printer for the busiest of businesses. 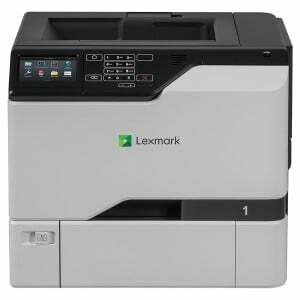 Great paper handling options mean that this A3 printer is the only printer you will ever need. The vast array of print features starts with its blistering print speeds of up to 55ppm (pages per minute) in mono and 50ppm in colour A4 at its highest quality. Long life components ensure that this printer will keep running and running whilst you and your work force continue with your other important tasks. The ECOSYS C8650 will be sure to help increase your productivity by cutting out the usual day to day maintenance tasks typically associated with laser printers. The cartridge free system keep[s costs down to a minimum with the toners being the only consumables that require regular replacement after up to 20,000 pages of colour printing. Expandable paper trays can provide between 1,150 and a huge 7,650 sheets input capacity followed by finishing capabilities providing up to 4,000 pages of output capacity. Mailbox options are also readily available for simple selection of documents. The standard in-built 160GB hard disk drive allows for planty of storage of internal documents. Kyocera's PRESCRIBE software even allows complex graphics, logos and multi-part forms to be created and stored directly on the printer meaning they dont have to be directly integrated within the print files and can be accessed when required to relieve the load on your network and provide further performance increases.